Dynamic Ratings is passionate about sharing knowledge and contributing to the energy sector in a positive way. We understand that many of the current and future challenges will be solved by the next generation of engineers. The Monash Leadership Scholarships provides an opportunity to develop young engineers into the future leaders of the Australian Energy Sector. 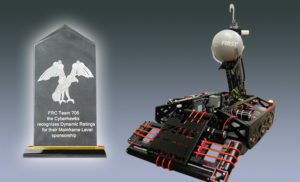 Dynamic Ratings is proud to support local high school students who are interested in robotics. We are passionate about supporting future engineers. At Dynamic Ratings we believe education is important. We are proud to support Marquette University as a corporate sponsor. 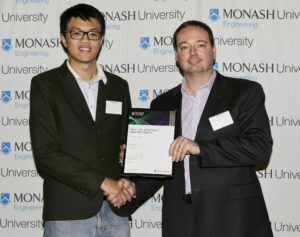 SMEE aims to bridge the gap between emerging graduates and industry professionals at Monash University. The club offers industry networking and seminars targeted specifically towards future engineers. Dynamic Ratings supports the community in various ways including local non-profits such as Elmbrook Humane Society. Elmbrook Humane Society’s mission is to provide shelter for homeless animals, promote the human animal bond, and prevent animal cruelty and neglect. IEEE C57.113 – IEEE Recommended Practice for Partial Discharge Measurement in Liquid-Filled Power Transformers and Shunt Reactors. IEEE C57.124 – Recommended Practice for the Detection of Partial Discharge and the Measurement of Apparent Charge in Dry-Type Transformers. IEEE C57.127 – Guide for the Detection, Location and Interpretation of Sources of Acoustic Emissions from Electrical Discharges in Power Transformers and Power Reactors. High-Voltage Testing Techniques (HVTT) Subcommittee of the IEEE Power System Instrumentation and Measurements Committee – General IEEE Partial Discharge Measurement Guide. IEEE C57.143 – Providing guidance to those who specify, apply, install and use on-line monitoring equipment on liquid-immersed power transformers and their components. Dynamic Ratings is a platinum member of The Australasian Transformer Innovation Centre and participates in steering commitee.